Most people I know have never heard of a dewberry; it’s a kissing cousin to the more popular blackberry. While folks are quick to lunge for the all familiar blackberry, I find dewberries just as great-tasting. After a childhood trip to Dimebox, Texas to visit my Great Great Aunt Rose‘s house, we somehow managed to return with live dewberry plants which were soon producing fruit right in our very own backyard. The dewberries soon found their way into cobbler that Mom made … and into our stomachs. The circle of life. Of the 100+ of Mom’s recipes that I’ve made here on Betty’s Cook Nook none have transformed more after the pre-bake state than this dish. 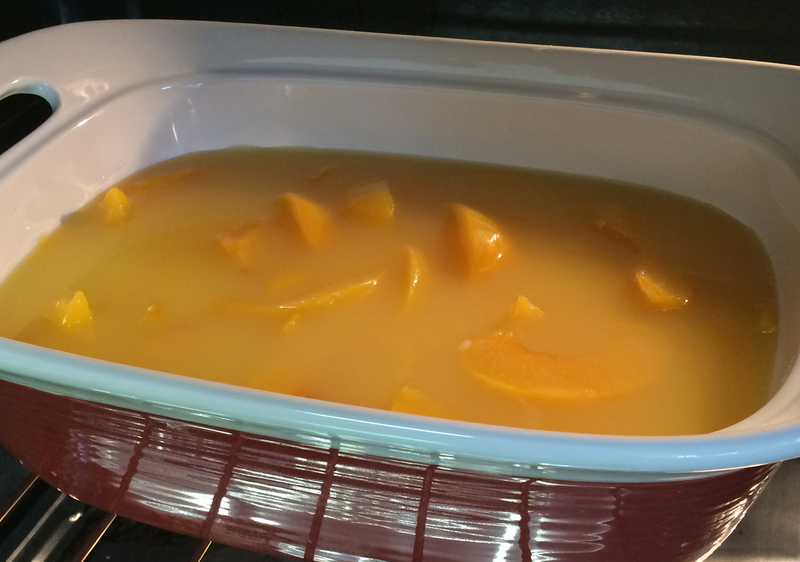 During baking the fruit and juice fall to the bottom of the pan and a cake-like batter forms on top. It’s magic! See the pics below if you think I’m kidding. What’s also magic is how fast this dish disappeared; it lasted about as long as it takes to sneeze. ♥ A “No. 2 can?” I had to research it but a Number 2 can is 20 ounces or holds 2½ cups. ♥ While soft fruits are noted in the recipe below, dewberries or blackberries will work well in this dish. 0. Heat oven to 375°F. 1. Cream together the butter and sugar until fluffy. Stir-in the next 3 dry ingredients alternately with the milk. Beat with a hand mixer until the batter is smooth. 2. 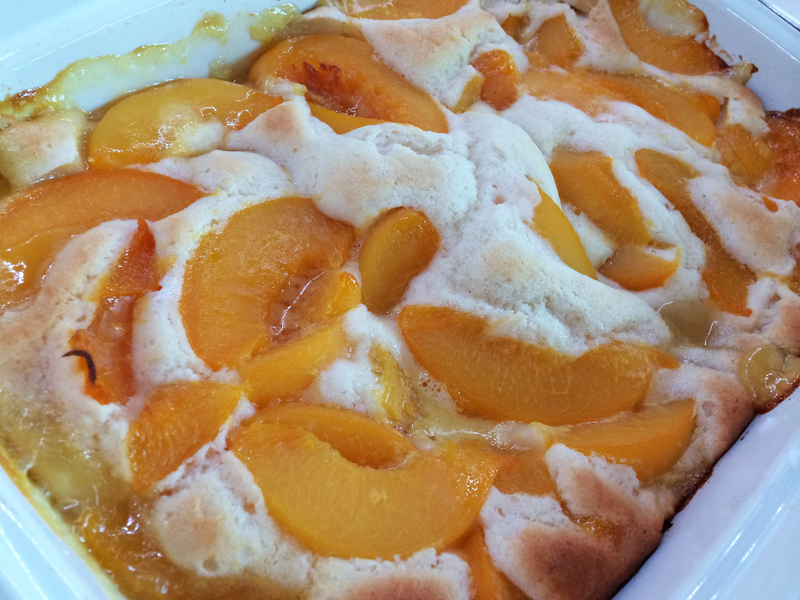 Pour the batter in a loaf pan (10″ x 5″ x 3″ or 2 quart casserole). 3. Spoon your chosen fruit over the batter then sprinkle the fruit with the sugar. Pour the fruit juice on the top of everything. 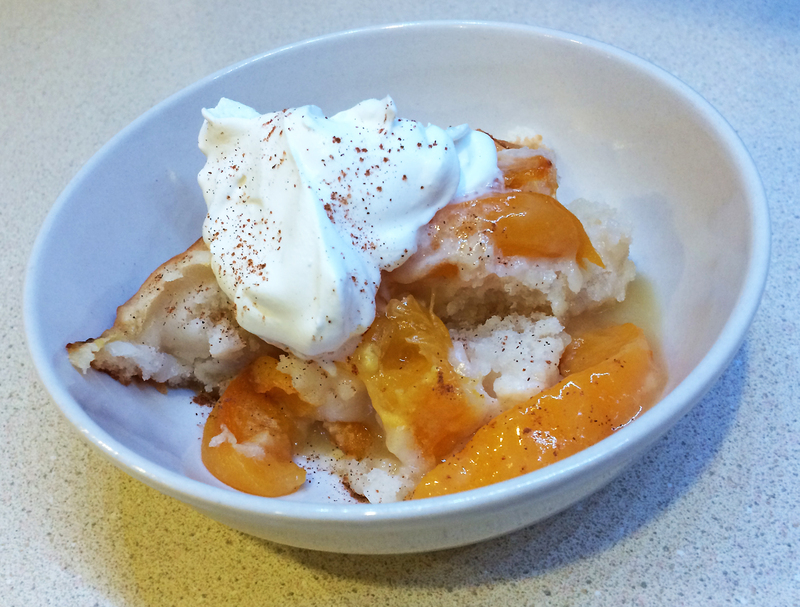 Serve warm with cream or whipped cream … and a sprinkle of cinnamon if you’d like. 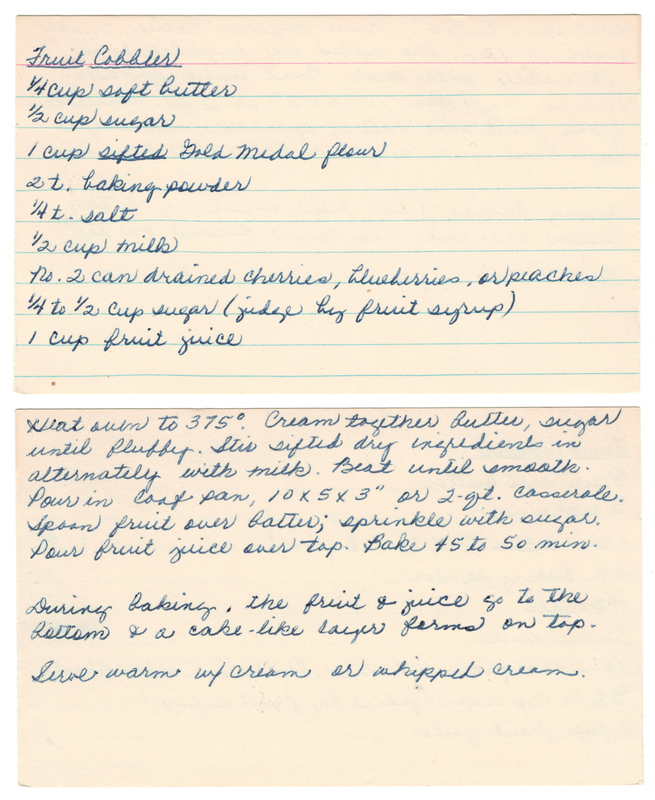 Here’s a scan of Mom’s original recipe!